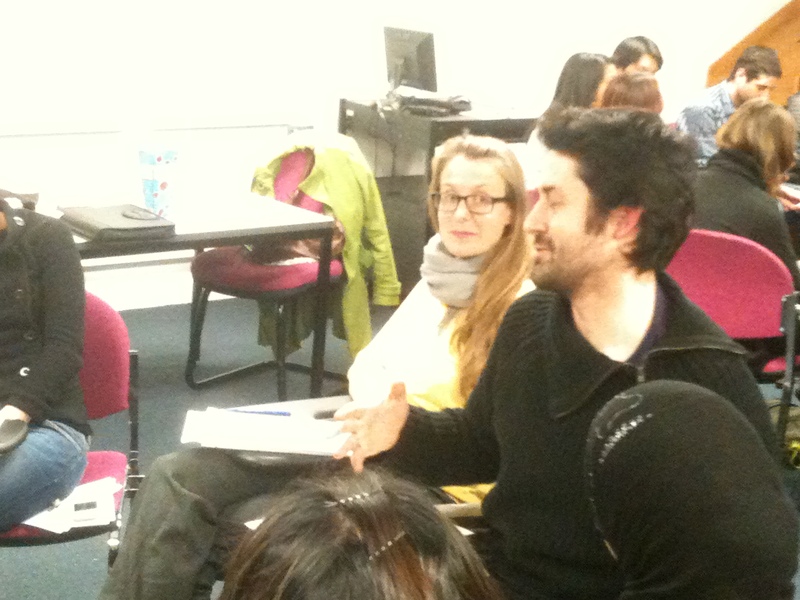 Extreme Psychiatry is an innovative teaching course for Year 3 King’s College London medical students. It aims to improve communication skills and confidence in psychiatry, whilst decreasing the stigma around mental illness. It’s a voluntary, extracurricular course aimed at students who find psychiatry difficult, as well as those students who are simply keen or interested in psychiatry. We want to teach all who apply, but have limited spaces, so we prioritise students who are struggling. We’re always pleased if our teaching attracts students into psychiatry, but our hope is that we can help all our students become confident to talk about mental health problems with their patients, wherever they end up – be it medicine, general practice, surgery, paediatrics, pathology or anywhere else. Extreme Psychiatry is run by a group of Extreme Psychiatrists (CT1-ST6), working with Actors and Peer Facilitator students. We all believe that confident, empathic teaching has the ability to produce confident, empathic doctors. Our lectures use timelines, symbols and colour to help students remember the main things to ask patients. Students have told us that they find this easier to remember than lists of symptoms, which they can get from any textbook. The lectures emphasise the most important points to cover in a brief history, and should jog memories sufficiently for students to launch confidently into the role plays. Once the lecture is over, the Peer Facilitators divide participants into small groups. Each group is run by two Peer Facilitators and an Extreme Psychiatrist. Actors rotate between groups to perform their role-plays. Peer Facilitators pick a volunteer to do the role-play and allocate feedback roles to other students in the group. Role-plays last for 7 minutes, and have a two-minute warning, the same way the ICE exams are structured at King’s. After doing a role-play, the role-playing volunteer receives feedback from other students and the Peer Facilitators. There’s also feedback from the Actor, who gives the patient perspective on how the interview went. The Extreme Psychiatrists act as examiners and go through the “Logbook” mark schemes, as well as answering questions and explaining any clinical issues relevant to the role-play. The last session of the term is Pot Luck Week. This doesn’t follow the usual format of a visual lecture followed by three role-plays. Instead it consists of five or six rapid-fire role-plays, revising all the previous topics (as well as adding in a few new, more minor topics). Pot Luck sessions have been among the most popular of those on the course since they give a taste of the unexpected (just like an ICE) but they also let students have another go at disorders they missed or want to improve from previous sessions. Evenings finish with a question and answer session, where participants can grill the Extreme Psychiatrists on symptomatology or any other clinical / ethical / practical issues which have been playing on their minds (preferably related to psychiatry, though we are also skilled in DIY, cookery, songwriting, marine biology and specialist SE London survival tactics).